Under pressure from a price collapse, the world's leading oil exporter abandoned its strategy of pumping flat out two weeks ago when it corralled OPEC into agreeing to reduce production for the first time in eight years. But the fine points of the agreement -- who would cut back, and by how much -- were left open at the meeting in Algeria, and major non-OPEC producers such as Russia were not part of the accord. 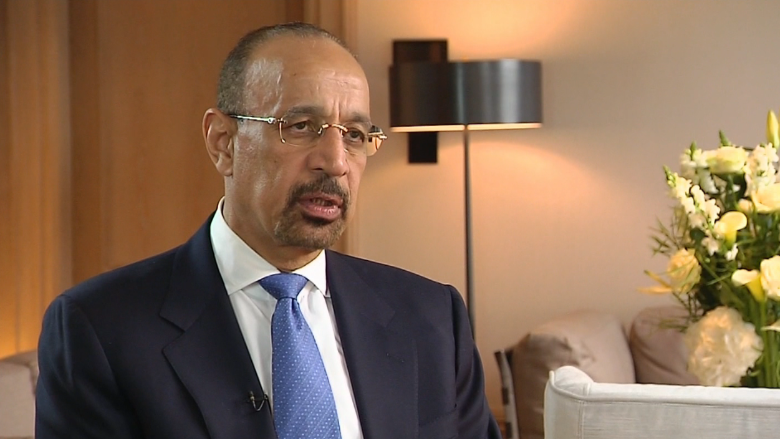 Saudi oil minister Khalid Al-Falih, speaking publicly for the first time since the Sept. 28 agreement, told CNNMoney's John Defterios he was "optimistic" of having everything nailed down -- including the support of Russia and other producers outside the cartel -- by the time OPEC meets in Vienna on Nov. 30. President Vladimir Putin, also speaking at the World Energy Forum in Turkey, said Russia was willing to freeze its output -- currently at record levels -- as part of the OPEC initiative. Oil prices moved higher on the back of the comments, gaining more than 2% to $51 a barrel. Global oversupply had caused prices to collapse from over $100 in 2014 to as low as $26 in February. 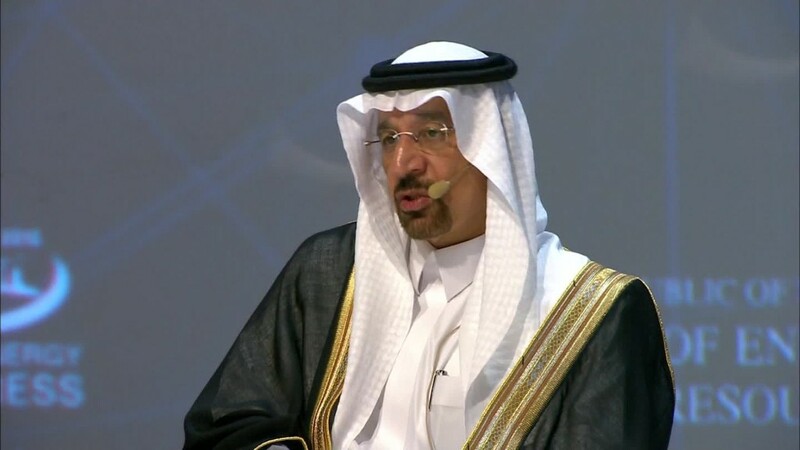 Al-Falih said the gap between rapidly rising supply, in particular from North America, and slower demand growth that had justified Saudi Arabia's decision two years ago to go all out for market share was disappearing. "I think the market forces have shifted between 2014 and now," Al-Falih said. "I think it's time to do something different than what we were faced with in 2014." Al-Falih said it was "not unthinkable" that prices could reach $60 by the end of the year, but stressed he was not targeting a particular price. "We are in October, we have moved from $40s to $50s. God knows where we are going to be by year end." He also stressed that OPEC would tread carefully when it comes to reducing supply. "Many companies are hurting, many countries are hurting. That needs to be relieved. But at the same time we don't want to give the market the opposite signal and shock markets into prices that could be harmful," he said. The Saudi official, a former head of state-owned oil giant Saudi Aramco, also said the kingdom could ultimately deal with whatever oil price the market sets thanks to its financial reserves and plans to diversify the economy. Saudi oil minister Khalid Al-Falih. And he acknowledged the pain caused by the price collapse could have longer term benefits by forcing Saudi Arabia to become more efficient. "We did grow a little fat around the belly, we were complacent primarily because of $100-110 oil," he said. "So I think the transition that is slowing down the economy at the top also has many positive components."